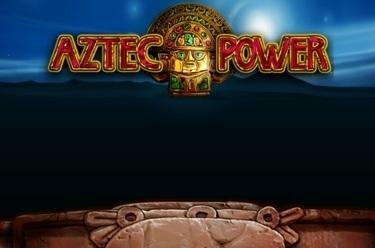 Play Aztec Power™ online for free now! Come with us to the jungle pyramids of Central America! You will start your treasure hunt in the green land of the Aztecs, alongside ancient tribal chieftains - and all of that against a backdrop of breathtaking scenery! Sparkling diamonds and shining amulets are lurking behind every jungle tree, which - if they come in the right combination - you can exchange for a great many Twists! 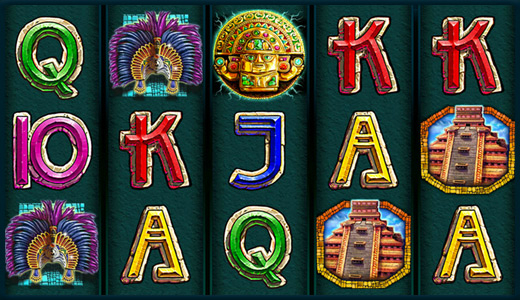 Aztec Power™ is played on 5 reels and up to 25 win lines. Your aim is to land 5 matching symbols along a win line. Every winning combination begins on the left and runs along the win line to the right. To win, the symbols must lie next to each other without any other symbols between them. Scatter symbols trigger a win, regardless of their position on the reels. 3 or more Scatter symbols anywhere trigger the Power Line Feature: It triggers 20 Free Games and win line 1 turns into the Power Line with winnings multipilier. The winnings multiplier of the Power Line starts with x1 and increases with every spin by +1. If a line win lands on a Power Line it will be multiplied by the current factor. Afterwards the Power Line Multiplier will be reset to x1 and increases again with every spin. The normal bet used when you triggered the feature is used in the Free Spins. Line wins that don't land on the Power Line will not be multiplied and pay according to the Paytable.